In high school, Andrea Gonzalez attended a conference for area Latino youth interested in higher education. It was there that she was introduced to James Madison University’s Centennial Scholars Program. JMU Centennial Scholars Andrea Gonzalez (far left), Sergio Yabeta (center) and Luis Parada (right) pose with their Harrisonburg High School mentees. Both Gonzalez, now a junior at JMU majoring in health sciences, and Parada, a senior who plans to become a high-school math teacher, serve as the mentors they never had through Shenandoah Valley Scholars Latino Initiative. The initiative partners sophomore Centennial Scholars at JMU with selected Latino sophomores from Harrisonburg High School for a three-year mentoring relationship. 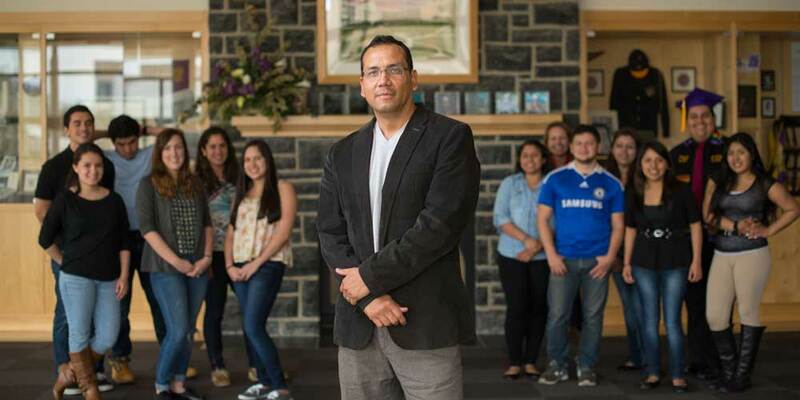 The goal, according to Dr. Carlos Alemán, associate professor of communication studies at JMU and coordinator of the mentoring and academic program, is to empower and encourage promising Latino students who might not otherwise have college in mind for their future. Alemán became involved with SV-SLI through his role as a JMU professor in residence at Harrisonburg City Public Schools. 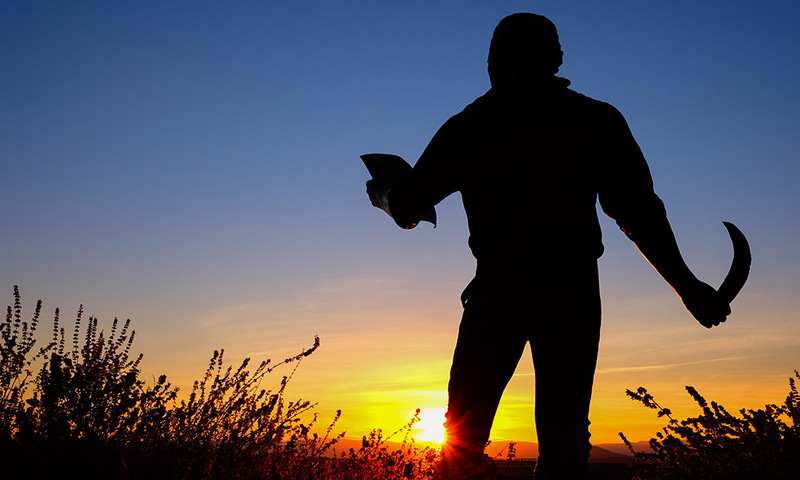 Scholars Latino Initiative began at the University of North Carolina at Chapel Hill in 2003 as an organization dedicated to educational excellence and equal access for all students. The Shenandoah Valley chapter of SLI launched in the spring of 2012 as a partnership between HHS and Eastern Mennonite University. It has since expanded to John Handley High School in Winchester, Va., and formed partnerships with Shenandoah University and Bridgewater College. JMU student mentors have been involved since September 2012. Currently there are 15 HHS students in SV-SLI. The students apply for membership in the program at the end of their freshman year by filling out an application, writing an essay and securing letters of recommendation, and then are interviewed by a selection and nomination committee. All Latino students accepted into the program receive a personal approach to academic success, including opportunities for tutoring, visits to area colleges and universities, leadership development and local community service. Those select students who are named as “scholars” are paired with Centennial Scholars at JMU. SV-SLI scholars have additional responsibilities within the program and are given opportunities to further develop their skills and explore their career interests. Dulcé, a 16-year-old junior at HHS, is interested in the medical field and landed a volunteer position at Rockingham Memorial Hospital through SV-SLI. “Since I was little, I always wanted to go to college and to be a doctor,” she said. SV-SLI scholars receive the added benefit of developing close relationships with their JMU student mentors. While their interactions are mostly organized around campus activities, the students will exchange texts and emails, as well as get together off-campus for group activities, such as ice-cream socials and bowling. The mentoring program has been rewarding for JMU students as well.